The giant super market chain Carrefour is investing millions of dollars into its reputation in China with the largest online ‘branding campaign’ the country has ever seen. The highly successful super market know a thing or two about international branding, founded in France in 1959, they now operate in 34 different countries and have cited China as the most important market for global growth, this is because of the increasingly affluent and sizeable middle class consumer population. The campaign revolves around the slogan; ‘there is a trust.. we call it Carrefour’ alongside two different video’s promoting food safety and quality. The key word here is.. trust. The Chinese market is often associated with poorer quality, domestic goods and food scandals. Carrefour as an international, French supermarket chain are looking to capitalize on the Chinese association with international brands and quality in order to differentiate themselves. 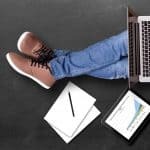 It is a huge branding effort in a giant country to entrench its reputation and win the hearts and minds of the consumer. Carrefour opened 100 stores in China within 12 years, this growth was facilitated by growing levels of consumer wealth in the country, grocery shopping budgets have thus increased year on year. 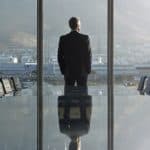 There are now 300 million middle class consumers, with changing levels of wealth comes changing expectations and a growing emphasis on quality. This underscores why this campaign is so timely and important, Carrefour need to brand themselves as a quality chain with increasing competition from both Walmart and Tesco in the middle kingdom. With many food scandals and shocking news stories about the food industry Chinese shoppers have become increasingly sensitive about what groceries they purchase. They will spend time researching any supermarket brand. The most common methods are searching on Baidu (China’s largest search engine), checking community forums and researching on social networks. Indeed, the Chinese are some of the most active, engaged consumers in the world. The campaign is based around the creation and sharing of two key video ads. In one video, a young Chinese boy with X-ray vision can see the faults that exist in fruits and vegetables, protecting his family from poor produce. Eventually he is put to work in a laboratory to identify any defects, highlighting Carrefour’s professed commitment to food quality and safety. 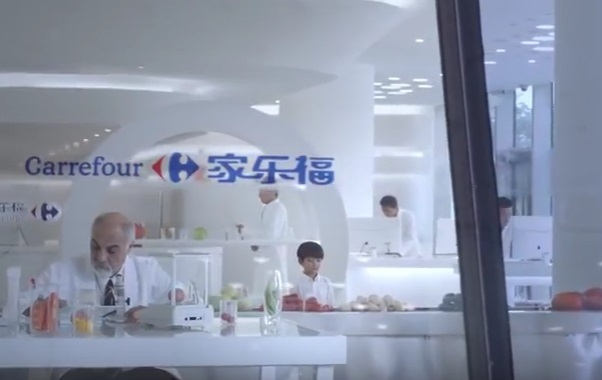 A second video features a young Chinese girl enjoying the ‘fruits’ of nature, including mushrooms and grapes, emphasizing Carrefour’s work with local Chinese growers. 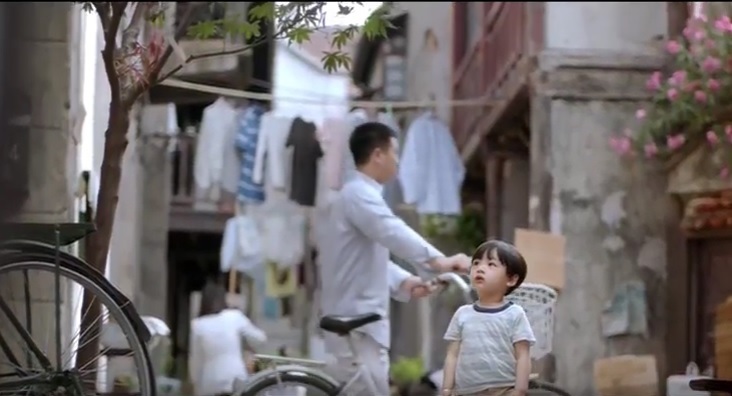 This is a clever campaign, focusing on Chinese values and local culture. It also taps into this emphasis on quality and educational achievement in China. It is very important to take the positive associations of being ‘international’ and tailor this to the Chinese culture. Creating strong, emotional narratives in advertising is key. Initially the ads were run as television campaigns but for prolonged exposure and consumer interaction a digital strategy has proved more effective. 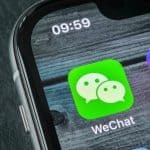 Carrefour’s official WeChat page (China’s largest social network with 750 million users), was very active in sharing the video’s in targeted groups and on users moments feeds. They utilized sponsored posts for increased visibility. WeChat is primarily a platform for branding and Carrefour tapped into this. 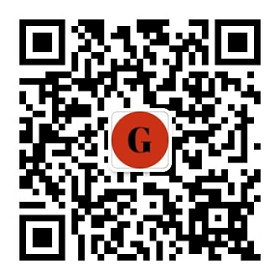 The video was also shared in many e-forums, which still remain popular in China. Often in the first page of Baidu’s search results forum results will appear above the official websites. Peer to peer and community reviews and opinions are very important to the consumer. Baidu’s forum ‘Tieba’ also helped the video gain traction. The community up-vote and comment on content to increase its visibility. The video of the young boy protecting his family from poor quality food was listed in the top 10 content streams on Baidu Tieba. China now boasts the most extensive e-commerce delivery infrastructure in the world. With more consumers grocery shopping online. Carrefour are developing their e-grocery service. Walmart’s online store partnership with ‘Yihoudian’ has set the precedent with many of the large supermarkets following suit. Carrefour now offers the service in Shanghai, Beijing, Chengdu, Kunming, Wuxi and Suzhou, and announced it was rolling out its e-commerce offering to the city of Wuhan in mid-January. Carrefour confirmed that at least ten more videos will be released over the next two years. This highlights the popularity and immediacy of video, both as a TV ad and as shareable content online. 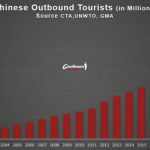 A continued and sustained presence in China is vital to develop a reputation. The Chinese will certainly develop brand loyalty but this needs to be earnt in a fiercely competitive international supermarket environment. Digital strategy is the most cost effective way to engage with the maximum number of target consumers. The firm can now even single out consumers by area using geo-mapping location services to direct their video ads to more specific audiences on social networks and Baidu. This can be location based on a users proximity to a Carrefour store, for example. As marketing technology and intelligence increases so does the effectiveness and visibility of high quality video content such as this. 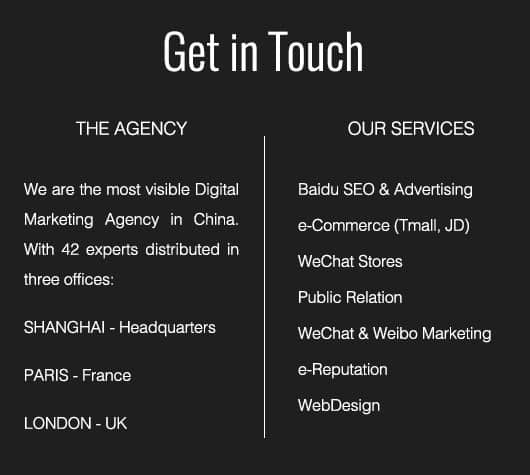 We are a specialist digital marketing agency based in Shanghai. We specialize in the creation and sharing of video content online to convey a brands key messages to their Chinese audience.